The Federated Association of Travel & Tourism Agents (FATTA) notes with interest the Minister of Tourism’s statement denying media reports on the direction being taken in Air Malta’s negotiations with Alitalia. FATTA maintains its full agreement that strategic alliances with other airlines are essential to ensure the viability of Air Malta. However, the prime objective for the airline’s survival should remain its ability to service the local tourism industry both into and out of Malta. Malta and its taxpayers need to support and sustain a robust tourism industry which continues to generate employment and tax revenues. This would be facilitated by preserving Air Malta’s relevance and not just its name. Air Malta needs to maintain and indeed strengthen its connections with the European cities that are clearly the main source markets for tourism to Malta. 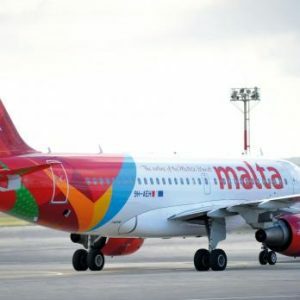 Should Air Malta shift its strategy to focus on serving as a feeder airline from North African and Middle East destinations this would indeed be major setback to the local tourism industry. Malta and its taxpayers do not need to invest in a feeder operation. FATTA supports the Government’s willingness to write off the airline’s accumulated debts of €66 million and to absorb its excess workforce into the public sector. However, this would only make sense if Malta and its taxpayers can expect long term benefits from the airline’s operation. It would make no sense for Malta and its taxpayers if this is being done simply for the airline to become a feeder. Air Malta as a feeder airline can only be expected to operate at breakeven level at best and will not deliver any return to Malta and its taxpayers. Air Malta will only deliver dividends, even if indirectly, by generating traffic that fuels the local tourism industry, and especially the various segments that have painstakingly been developed in recent years to address seasonality. FATTA therefore calls on Government to guarantee that the airline maintains its relevance with its primary focus remaining on servicing tourism between Malta and its core markets.